The Queensland Government has established a review of Queensland's property laws to reduce red tape, regulation and property law duplication. The broad-ranging independent review will pave the way for a more streamlined approach to how Queenslanders buy, sell and manage property. The government has engaged highly-respected and experienced property law experts from the Queensland University of Technology (QUT) to conduct the review. It will examine legislation including the Property Law Act 1974, Land Sales Act 1984 and the Body Corporate and Community Management Act 1997. 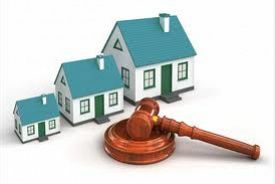 Due to the breadth and complexity of Queensland’s property laws, the review is being conducted in stages. Two issues papers have been released as part of the first stage of the review. Consultation on the first two issues papers closed in March. Issues paper one examined the current seller disclosure regime in Queensland including its effectiveness for the purposes of the sale and conveyancing process and whether there is a need for reform. Issues paper two addressed the contentious issue of setting and adjusting lot entitlements for community titles schemes in Queensland and considered options for dealing with the controversial issue of adjusting lot entitlements of existing community titles schemes. The next stage of the review will examine the Property Law Act 1974 and body corporate governance issues under the Body Corporate and Community Management Act 1997 and other community title legislation. Further papers about these topics will be released for public consultation.